Proper onboarding of new nurses is key to retention, job satisfaction, and engagement in complete patient care. Nurses who are comfortable in their environment, and feel supported by management, will become a critical part of the care team. These nurses have “bought in” to your hospital’s nursing culture and mission, and they feel empowered to provide the best possible healthcare to their patients. Excellent nursing care leads to improved patient outcomes, increased patient satisfaction, and higher HCAHPS scores. Solid nurse onboarding will engage new staff members — aligning them with your mission and vision in order to achieve your patient care and satisfaction goals. Nurses want to do meaningful work—it’s why they went into nursing. They want to help their patients, provide the best care possible, and they want to feel supported while they do it. As an administrator, you can do nothing more important for your staff or your patients than to create a patient-centered mission and vision for your entire organization. And while one of your goals may be to improve HCAHPS scores, it CANNOT be your main focus. The mission and overarching goals of your hospital must be focused on patient care, and empowering your staff to deliver that care — nurse engagement, quality care, patient satisfaction, and improved HCAHPS scores will all develop from there. Nursing is a difficult job, and it is only made harder without a nursing culture of respect throughout the hospital. Mutual respect and teamwork are essential for great patient care. Nurses who feel that they are valued by their administration, and by their fellow staff members, are motivated to perform at the highest level. Make sure your organization finds opportunities to appreciate the staff and promote respect. Host events that thank staff members for their efforts and accomplishments. Offer meaningful recognition programs that notice and appreciate the nursing staff’s dedication to “go the extra mile”. Survey your staff to gauge their satisfaction and take action in areas where you have opportunities to improve. Working in an environment of mutual respect and demonstrated appreciation on a daily basis fuels positive patient outcomes and increases patient satisfaction. A comfortable, clean, and updated physical workspace helps encourage and enable the nursing staff. A haphazard, disorganized and unkempt workplace leads to overstressed staff – and naturally, this can translate to the kind of care they provide. Paying attention to creating a positive mental workspace is also key. Nurses who anticipate respectful, supportive colleague and hospital management relationships will be excited to join your organization. The more obviously you model these traits, as well as provide training and counseling to achieve them, the happier and more engaged your nursing staff will be. Clearly articulate that management’s role is to take care of and support the nursing staff, so the nurse can concentrate on caring for the patient. 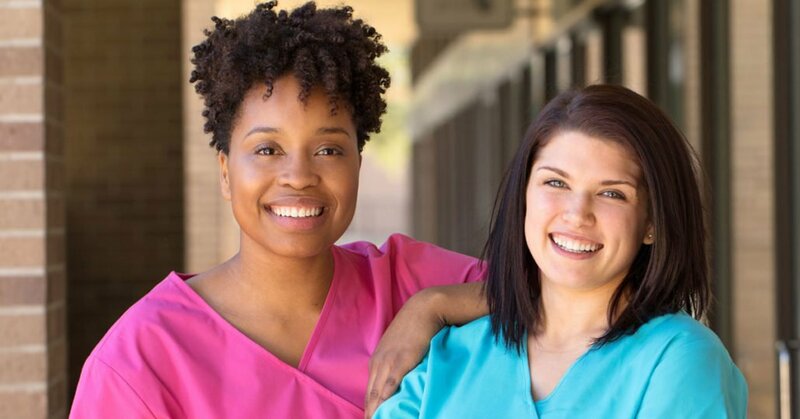 Although not at the top of the requirement list for successful nursing, a fair pay structure is foundational to new nurse buy-in, and for nurse retention over time. Competitive pay demonstrates support and respect for the nursing staff, and it serves as a foundation upon which you can build your reputation and nursing culture. One way to show that you appreciate and respect your nursing staff is to provide them with opportunities. Overwhelmingly, nurses want to use all their hard-won skills to the fullest, and they seek to develop new ones. Nurses want to advance in their careers and to have a greater impact on the patients they serve. Truly motivated and engaged nurses are not seeking dead-end jobs – they want to feel that becoming part of your organization includes future opportunities. They want to refine their abilities to an expert level, gain new skills and assume new responsibilities over time. Don’t just tell your nurses you support them, but show it in practice with financial support and opportunities to progress up the career ladder and to attain advanced certifications. These five tips for achieving cultural buy-in are strongly interrelated, so even focusing on one of them will help advance your progress with the others. When a new nurse is considering joining your organization, whether a Millennial who is new to the profession–or an experienced nurse further along on the career path, articulate your patient-centered mission clearly. Tell them who you are and let them know the strength of the organization they are joining. Show them how you will provide the support they need so that they can deliver the best care possible.